Our Suffern Pest Control Exterminator will identify the source of the pest infestation & create a customized treatment plan to eliminate the pests. 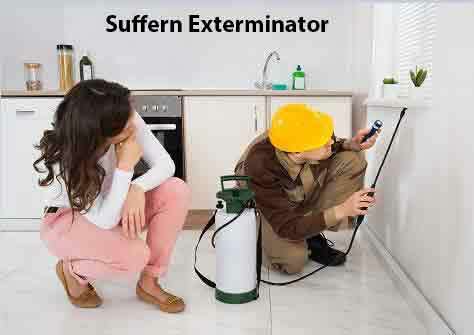 Let us be your Suffern Exterminator, give us a call today 1-844-305-8999. Few animals on Earth evoke the antipathy that mosquitoes do. Their itchy, irritating bites and nearly ubiquitous presence can ruin a backyard barbecue or just a walk outside. Mosquitoes pose a triple threat to our health in the form of dengue fever, chikungunya and Zika virus. If you have a mosquito infestation call our Suffern Exterminator at Dependable Exterminating to solve your mosquito problem. Mosquitos are not only a nuisance but they are a public health problem as well. Finding the source of a mosquito infestation is a priority in the overall elimination process. Our technicians will locate the source around your home or place of business and take the necessary steps to eliminate it. Centipedes and Millipedes may enter your home looking for food and a damp place to live. Millipedes and Centipedes are common pests that homeowners encounter, that tend to move into houses during brief periods in the fall or spring. A trained and NYS Certified Pest Control Professional will come to your home and identify the source of the Centipede Infestation and design a customized treatment plan to eliminate the pest. We offer chemical and non-chemical treatment methods to eliminate Centipedes. Our Technicians will apply residual insecticides inside an outside your house, along cracks and crevices, entry points, and baseboards, to discourage centipedes activity. Mites are tiny arthropods, related to ticks. Several types of mites can be found in homes and of these a few may bite humans. “Mite” is a term commonly used to refer to a group of insect-like organisms, some of which cause allergies and can cause irritation to humans. House Dust Mites feed on dander (dead skin which is shed) from humans and animals. They may also feed on protein based foodstuffs, preferring dried products over products with moisture. Females lay up to 80 eggs and there are several stages of immature. Populations can explode during humid months as mites are excellent at absorbing moisture from the air.